When you are done walking around historic Nemiga, you can go for a drink to the central bars in Minsk! 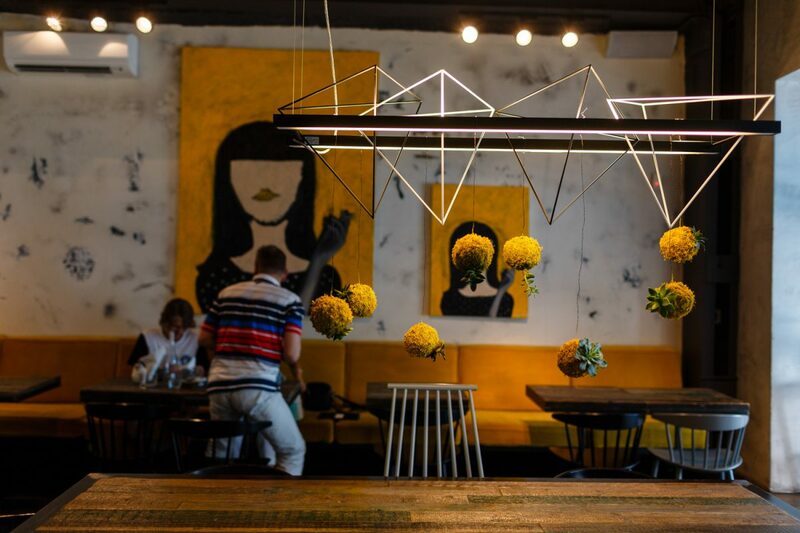 We made a list of places in the heart of the city locals enjoy the most. 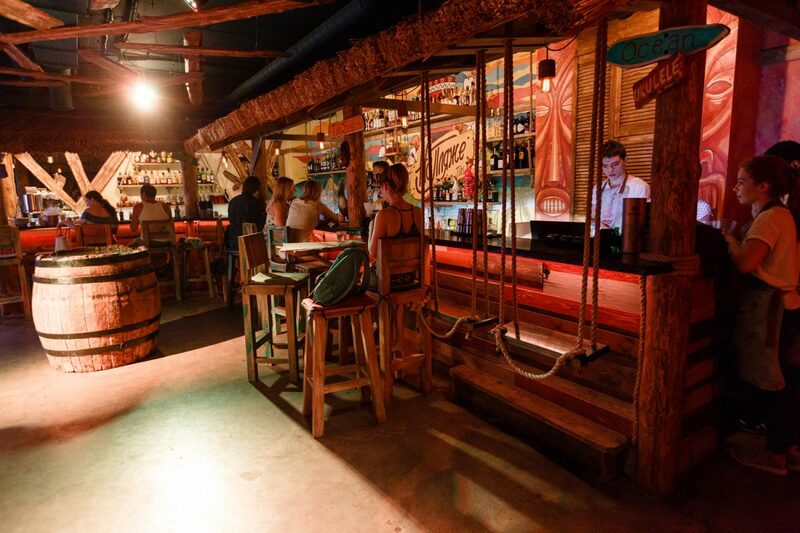 The very first tiki bar in Minsk with a fun beach atmosphere! There is a big choice of cocktails, which you can try while sitting on a swing at the bar, interesting street food menu, and amazing Latina-style parties every weekend! El Pushka is the only one of the bars in Minsk which has a real Latin feel and atmospere and boasts a good variety of spirits. We recommend the pure agave tequila cocktail or a shot of mescal to get the party started. The place is tiny so it’s often full of people, but definitely worthy of your presence! This bar is very popular among the Minskers! Its name literally means ‘Freedom, 4’. And it’s perfect for almost any occasion: breakfast, lunch, dinner, or partying. So go for a good glass of wine and cheese, check out the locals, and party away to some good old freedom vibes. Remember the movie The Grand Budapest Hotel? Well, this bar in Minsk is fully inspired by it! Its stylish interior consists of contrasting elegance and rustic vintage decorations. The place offers a good choice of vegetarian food and a great list of different alcoholic and non-alcoholic drinks, especially cocktails. It is quite hidden, so if you don’t know anyone who will take you there, try and find the correct arch at building №13 and turn there. Cherdak or “attic” in Russian, is a bit tricky to find, but it is a real local gem! Once you find the right stairs to the entrance you will be spoilt by choice of tasty vegetarian meals and cocktails. 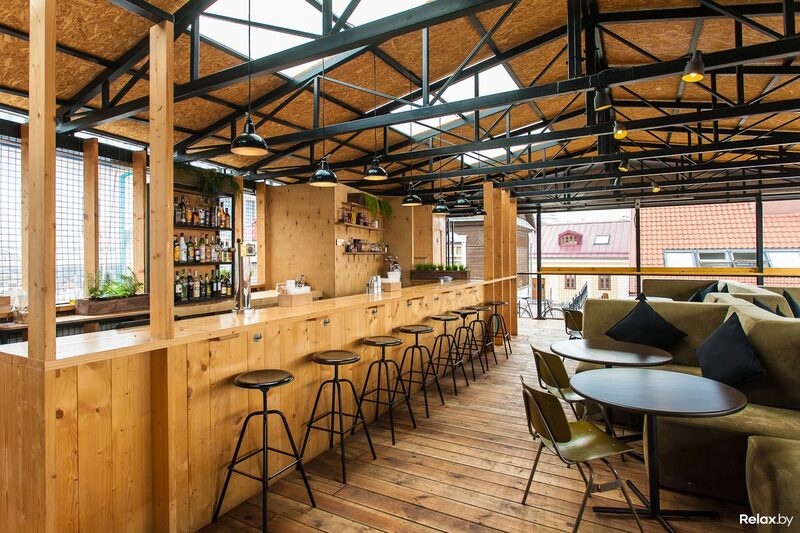 This bar in Minsk is also known for its great DJ parties. If you are a fan of beer check out local beer places in Belarusian captial. If you are more in wine then you are always welcome to the best wine and dinning restaurants and bars in Minsk.